The key to excellent responses when responding to a prompt is "nailing" the topic. To do this well, the writer needs to begin with a topic sentence that turns the prompt into a topic sentence. This is really as simple as deciding what the prompt is asking you to address and putting it into a sentence. Write a multi-paragraph informational response describing how emperor penguins survive the harsh winter of Antarctica. Be sure to use facts and details from both texts to support your explanation. Follow the conventions of standard written English. Emperor penguins survive in harsh winters in Antarctica. 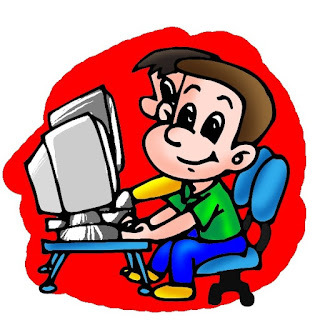 Write a multi-paragraph informational response describing how technology is changing the lives of children today. Your response must be based on ideas and information that can be found in both passages New Technology Makes Fake Arms Cheaper and More Useful for Children and Dream Jobs: Roboticist. Here is Bryce's Introduction. He starts with an excellent topic sentence and has the main idea from each article. Technology has changed throughout the years and has improved kids lives tremendously. Roboticists help the world improve technology everyday and look forward to making it better every time. People like Nick Thompson like to help find ways to make artificial arms cheaper and quicker. We are looking for some Outstanding Articles in Reading Workshop. Students, you will research looking for interesting and intriguing articles online. When you find one, you will write a short (1-2 paragraph) review with a link and a thought provoking question. Articles that are chosen will be read by the entire class and responses will be shared on the Reading Workshop Forum. The student that has the winning article suggestion will earn an A for the article and will not have to write a response. You can read the article used for this assignment at How Much Time Do You Spend Online? Start with the name and go from there. 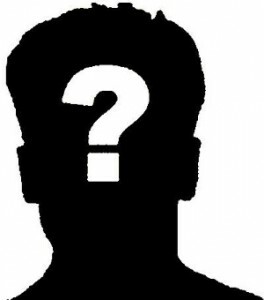 Tell about the main character in the book you are reading. Describe him/her. What makes him like he is? How does he act? Think? Respond? Feel? Please use details to support your writing. For example, if you state that he is brave, you should have a detailed scene from the book that proves your claim. Whatever you do, DO NOT RETELL THE STORY! This assignment is to tell about the main character. If you summarize or retell the book, you are not following the directions! Make your writing interesting. Think about the character. The best essays will be written by a writer than gets inside the book and the character. Today's assignment is to write about the problems in the book you are reading. In all good fictional stories, the characters face problems. This is what gives the story life and excitement. Your task is to write about the problems in the book you are reading. Please use the essay below from Megan, a student from last year's Reading Workshop. Her organization and use of specific details makes this easy to read and understand. This is about The Mockingjay, by Suzanne Collins. This book is really good. It's one of the best books that I have read. The Mockingjay is more about problems, so if you like books with problems this is the book for you. The main characters are Katniss, President Snow, Peeta, Gale and more. One problem is when Katniss was in the Hunger Games she and a couple of other people were building something. Then the people with Katniss abandoned her when something went wrong, so she had to try to do something and when she did, it made something go wrong with the districts. The second problem is . . . The third problem is. . .
Another problem is. . .
A last problem is. . . There are more problems in the book, but you would have to read the book to find them out. I think that the Mockingjay is a good book for everybody. It's not only a girl book and it's not only and boy book it's for boys and girls. I think if you read the Mockingjay you will want to read the first and second book of The Hunger Games but if you don't you might want to read other books by Suzanne Collins. I think that everyone that reads this book will want to read it over and over it again. It's not only about problems it's also about adventure and a little bit of a mystery. You can read the entire post at Megster's Life. This essay is a good example of Write with Your Hand. It is organized beginning with an introduction, paragraphs in the body with specific details, and an ending that wraps up the essay. As you write your post, use this format so the reader will be able to understand your post. This year we have focused on supporting your writing with details from the text. Recently on the Question of the Week Board, students wrote about a Must Read Book for All Sixth Graders. If you were the teacher, which post would you use as an example? Which post does the best job using information/details from the book to back up their claim as the must read book? Keep in mind the writer must have a reason of what makes the book great and the details should support that specific reason. This is not about which book you like best. This is not about which post you like best. This is a selection of one writer/post that best uses details from the book to support their point. Listed below are some resources. Feel free to find other sources to support your position. Today we are going to take the event from yesterday and use it for support on a writing prompt. This is working backwards from normal, but the process and use of an event for supporting details is the same. This event can be used for a number of topics like setting, character, problem, plot, conflict, comparison to self, comparison to another character, comparison to another setting, mystery, etc. For this example I am going to write about setting. 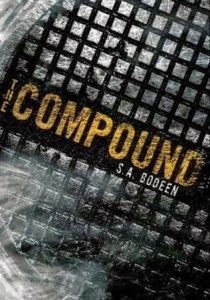 I just finished reading Compound by S.A. Bodeen. The setting plays a major role in this book. The story takes place in an underground compound/bunker. For almost the entire book, the main character, Eli and his family live in the "Compound." My world ended with a bang the minute we entered the compound and that silver door closed behind us. The sound was brutal. Final. . . . My fists beat on the door. I bawled. The screaming left me hoarse. Right from the start as a reader I had to stop and try to imagine myself in this place. I couldn't imagine being forced to survive trapped underground with no hope of escape. Also, when Eli finds out his twin brother and grandmother don't make it to the shelter and die, the setting causes even more thought. Eli's father, mother, and sisters Lexie and Terese managed to get safely inside within the forty minutes needed to survive, but his twin brother Eddie and his grandmother didn't make it.. In a way, the setting is the whole world because the world just ended with a nuclear explosion. However, Eli's family was safe only because of the compound. Eli's father (a billionaire) had prepared them for this day and made provisions to help them survive underground for the next 15 years. This tells me right from the start of the book that the entire story takes place underground in this compound prison. Being trapped here causes major problems emotionally for Eli. He was forced to live with the fact that he caused Eddie's death. Eli had talked him into sneaking into their grandmother's car. She didn't make it back to the compound in time to get to safety in the shelter. Now Eli had to spend each day knowing his brother, his twin died because of him. There is no escaping this fact and being stuck in this setting reminds Eli of this every minute of every day. Compound is a great book with a lot of events that bring you into the book and make you wonder what you would do in this situation. The setting controls the lives of the characters and the entire story. In the next few pages the book explains that Eli's family is in an underground shelter but his twin brother Eddie and his grandmother didn't make it. Eli's father, mother, and sisters Lexie and Terese managed to get safely inside within the forty minutes needed to survive. The world just ended with a nuclear explosion. Eli's family was safe only because of the compound. Eli's father (a billionaire) had prepared them for this day and made provisions to help them survive underground for the next 15 years. Eli was forced to live with the fact that he caused Eddie's death. Eli had talked him into sneaking into their grandmother's car. She didn't make it back to the compound in time to get to safety in the shelter. Now Eli had to spend each day knowing his brother, his twin died because of him. Support Your Writing with Details! Reading Workshop students, please copy and paste the latest writing topic about the book you are reading, "Could You be the Main Character?" To see more about this project you can see all responses to this topic on the Question Board. Here is an example from Emma M. that earned an A.
I'm like Sophie because she is curious. When her mom came to see her in the summer, Sophie would always asked, "What do you do on Skin Island," and,"Why can't I come and see you?" But her mom would never tell her. Sophie got more curious every time. And she even asked her dad what her mom did. But even with many times Sophie begged, he wouldn't tell her. I am curious like her too. One day when I was watching a really good show called Pretty Little Liars, (it's a mystery). I was trying to figure out who A was, but I got so curious that I couldn't take it anymore so I Googled it and was shocked by the answer. 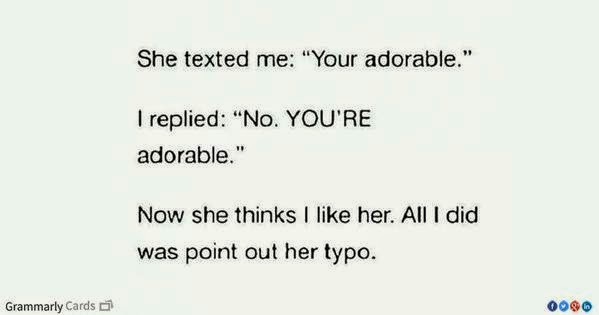 The weird thing was that the original A wasn't the person that showed up. Another time is when it was Christmas time and a big box came from Amazon. Now when I was eight, boxes were so magical because they hardly never came. So I got super curious and lifted the big box to the couch. And while my mom was making dinner I started to open the magical box. Inside I found these amazing Christmas presents! My mom came in and closed the box and told me to go away. She wasn't that mad though, and she understood that I was only little and curious. But now I'm not allowed to touch any boxes at Christmas time. What Happened in the Book Last Night? Please copy and paste your post, The New School Year from the Question Board or your blog to be graded. As we discussed in class, grades will be based on use of supporting details in your writing, correct punctuation, grammar, and spelling. To read all the responses, please go to the Question of the Week Board. Recently at Reading Workshop I created a discussion board for the Question of the Week. Responses must be a minimum of two - three paragraphs with details to support students' points. Students, please post your best response to be graded. The latest assignment in Reading Workshop is to describe the family in the SSR book students are reading. Then they have to compare and contrast that family with their own. This is just another assignment in the group as students are working to respond to a prompt. The assignment to students was to write a blog post about how the main character in the book they are reading responds to problems he/she faces using specific details from the text to support their points. ¶2 First Response—How the character reacted and details to support it. ¶3 Second Response—How the character reacted and details to support it. ¶4 Third Response—How the character reacted and details to support it. ¶2 First Problem's Response—How the character reacted and details to support it. ¶3 Second Problem's Response—How the character reacted and details to support it. ¶4 Third Problem's Response—How the character reacted and details to support it.